When is the last time you went to a movie theater? For some of you, that was probably just last week! For others it’s been a year, or maybe two … or maybe since your child was born! So what is the best way to approach going to the movies with a child with special needs? We’ve recently had a different kind of movie house open up in the Collin County area. These movie houses feature dinner and a movie. We love this idea because it lets our families pair the food with the activity, and allows the child to be able to be engaged in the activity longer. 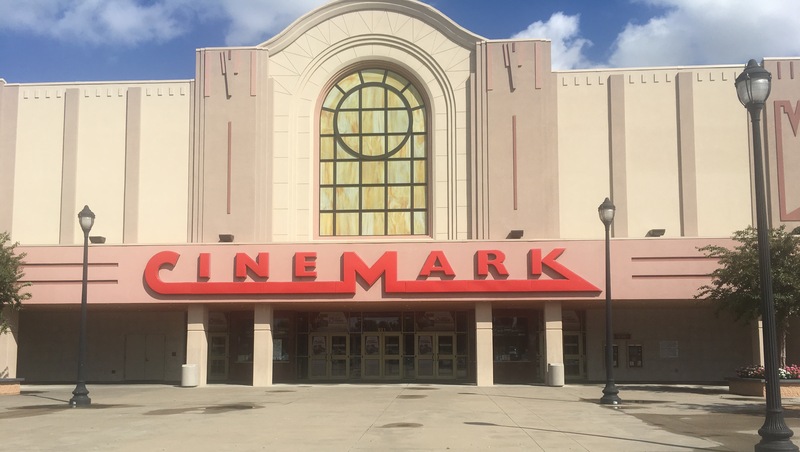 Some of these theaters are Studio Movie Eatery, which just opened up in McKinney. We also have the iPic which is in the Fairview/Allen area. And then there are probably six or seven Studio Movie Grills scattered around the area and some near our Katy, TX location as well. That gives you a lot of options! All of these theaters offer kid-friendly movies (along with movies that aren’t so kid-friendly). 1. Dinner and a movie all at once: For some of our kids, if you go to dinner and then go to the movies, that makes for a very long evening! Our kids often burn out faster than that, so being able to do the movie and the dinner all at once is great! 2. Everyone can be included. These theaters give options that are great for the whole family to have fun together. Maybe you have some children who do not have special needs, and they want to go to a movie. This type of setup gives your child who does have special needs the option of attending with the family, rather than having to exclude them. 3. Kid-friendly food options. These theaters do offer kid-friendly menus as well. And if you have dietary restrictions, talk to the office about bringing your own food in. You’ll be purchasing some of their food while you’re there, so they may not have any problems with you bringing in food to meet your child’s dietary needs. 4. Service at your seat. Some of these theaters offer service right at your seat, so that you don’t have to go wait in line at the concession stand. 5. Smaller and easier. These theaters tend to have bathrooms close by. Also many of these theaters are much smaller, so they’re less overwhelming for our kiddos. In our offices, you’ll notice that we post whenever a theater offers a sensory-friendly movie. Studio Movie Grill does these quite often, and we’ll always have information about those for you. 1. Do your research! When you want to go to a movie, look it up first on the internet. Do some research about it so that your child understands what he’s going to see, and you don’t have any unpleasant surprises. 2. Don’t forget the comfort items. Bring those comfort items with you to the movies—whatever those may be for your child. 3. Choose your seat. Make sure your seat is in a spot that lets you get out easily if you have to leave the theater. Some of these theaters offer reserved seats so that you can go online and pick out exactly which seats you want when you buy the tickets. You can also check out the type of seating beforehand. These theaters have different types of setups and seating models, so be sure to always go to the theater’s website first. Some theaters have more of a reclining chair, with a tray table that pulls up over it. At other theaters you’re seated in something that’s more like a desk chair, at a bar or a table. 4. Leave if you need to. And always remember: If your child gets overwhelmed, it’s okay to leave! This is part of the training and learning experience, and we all have to try things before we’re successful at them. None of this means that the regular movie theater is out of the question, of course! But we suggest that if you go to a regular theater don’t go at a high-volume time. Go at an off time so that you can have options for where to sit, and not have a long wait at the concession line.